Today I stepped out of the house, and ran right back in. When did it get so cold. It went from summer to winter in two days. I may have an oily face but in fall/winter weather, think desert for the rest of my body. When I re-entered my house my first thought was where is my winter lip balm. 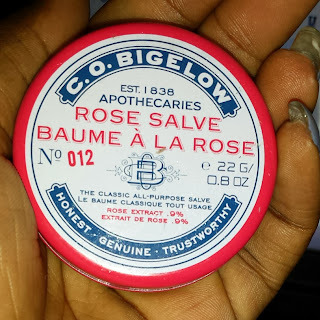 This balm is the mother of all balms. Put away the old school chapstick and fad of 2012 EOS, where is my trusty old, sure to soothe and protect Rose Salve from C.o. Bigelow. With a petrolatum base and rose extract infused into this product it soothes the lips and skin on impact. Oh and did I mention it makes your lips feel like butter (super soft). For $5.50 (USD)- a dollar more in Canadian stores this is surely a must have for the cold weather we are about to embrace. This product can be found at your local Bath and Body stores. Tip: Use before bed for super soft and moisturized lips in the morning. A purse must have in the winter. This baby will soothe any winter dryness. Pros: Makes lips super soft. Pleasant soft rose scent. 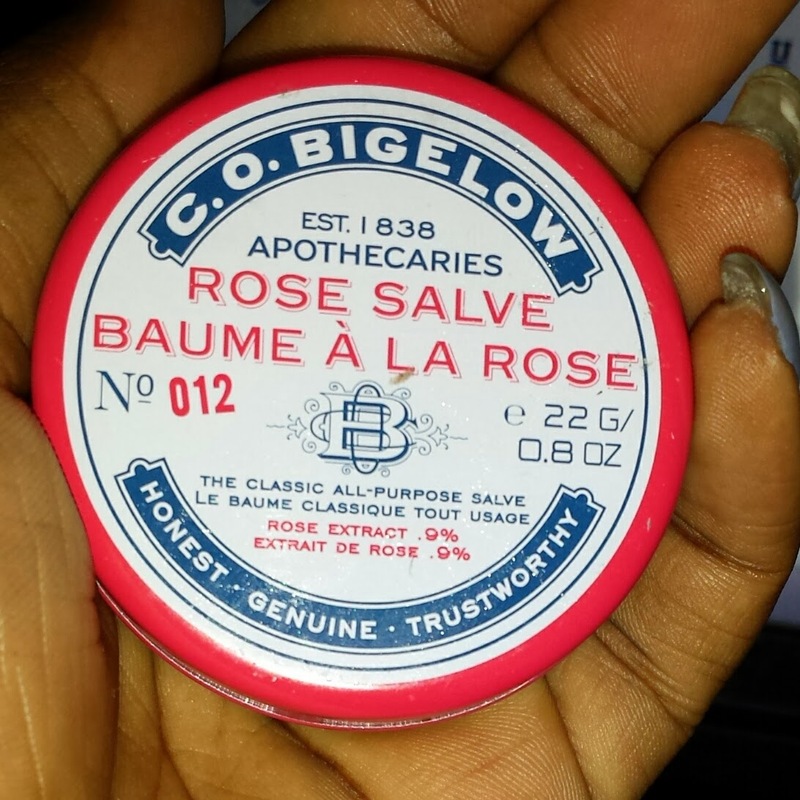 Can use product on elbows, cuticles, face, knees etc. Cons: For those of you who are scent sensitive, this product does have a slight rose scent. It is packaged in a tin, which means dipping your fingers in and applying (not the most hygienic-especially when applying to lips). Also I do believe in having a SPF protection in most of my beauty products and this doesn't. Final thoughts: This is a great product year round, but I tend to reach for it in colder weather when I know my skin is prone to cracking (and strong sun damage isn't as likely). Have you tried this product before? 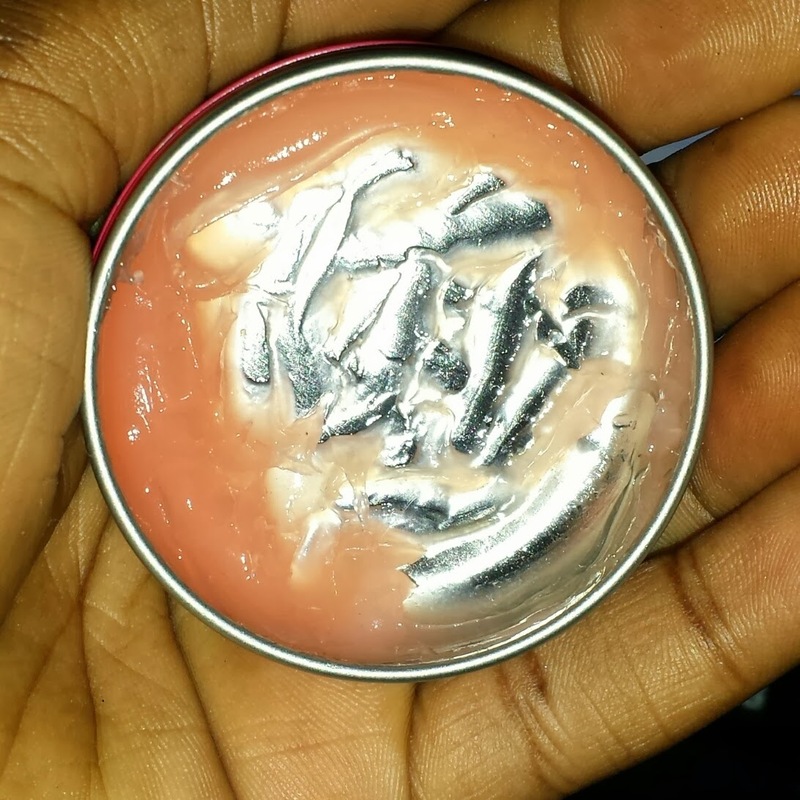 What is your go to "save my lips" balm for cold weather? i don't like the rose smell, but they have strawberry that i like. rosebud is another one that people seem to love.